The world is changing in every conceivable way: technology, education, health, social attitudes, morality and religious belief. That much is obvious. But we often overlook the enormous impact those differences have on us and our churches. In our church, there are seventy-five years between the oldest and youngest church members. It’s more than ninety years if you include the children of the church. And it’s in the church these generations come together in a way that rarely happens elsewhere. Most clubs cater for just one or two generations, most workplaces only two. Within a family, three generations might see each other often, but rarely will four generations do so. Yet in church, four or perhaps even five generations will meet and do the same things together, every single week. That’s a glorious thing! The church should bring different people together. What unites us is far greater than what divides us, because regardless of age, every Christian is a sinner saved by the grace of God through the death and resurrection of Jesus Christ. Our shared beliefs triumph over our different attitudes and experiences — or at least they ought to. 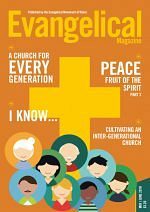 But an inter-generational church is neither easy to create or to maintain. It requires hard work, sacrifice, grace, understanding, and God’s help. That’s because every generation is shaped by their culture. Each appreciates different music, has different interests, wears different styles, has different habits and uses technology in different ways. When we gather together as churches, people from one generation tend to think and act differently from other generations. 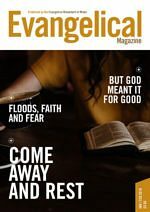 They won’t just influence what songs or hymns we enjoy, and whether we’d like drums and a guitar or prefer an organ, but it will affect everything we do. 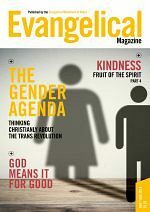 That’s why this issue of the Magazine focusses on inter-generational church life. 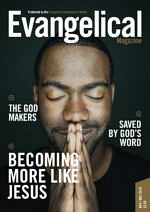 We’ve got authors in their twenties and authors in their eighties writing on everything from younger women needing older women, to cultivating an inter-generational church, to apps that help children explore the Bible. 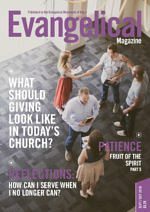 That’s on top of all the usual goodies, which this month includes a reflection on the final message of Billy Graham. 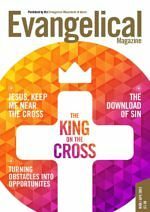 As always, our prayer is that this magazine helps you to love Jesus and his church more, and equips you to live your Christian life. We pray that you find as much help in reading it as we did putting it together.